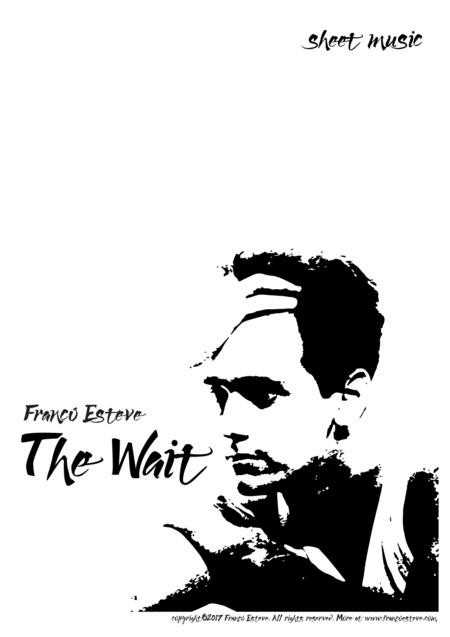 Composed by Franco Esteve. 21st Century, Contemporary Classical, Movies, TV. Score, Set of Parts. 27 pages. Published by Franco Esteve (S0.224777). 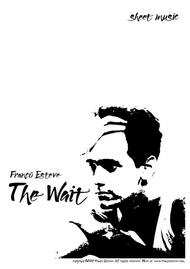 The Wait is a classical style piece of music that reflects waiting and anticipation. It was written out of insomnia and the constant incapacity to sleep. It’s something I have personally struggled with throughout my life, and I admit a lot of my ideas flow from those hours fighting with it. The Wait is directly related to it, born of it. It’s that anxious waiting for sleep to come, the time ticking away, the realization that time is passing and the possible sleep time lessens. Suddenly, you feel it, but it disappears once again, and the anxiousness returns. Though it was written with larger violin groups in mind or small orchestras, keeping it in a way quite simple, it can be played with 3 violins, a cello, a horn, and a rainstick. The difficulty and challenge is in the amount of pizzicato, and how fast it needs to be played at times, but at the same time, that's where the fun lies. I can imagine it can work quite nicely with a school orchestra or any small ensemble, even if some might need to make some minor adjustments to how it's played. It'll be fun to hear how others interpret it. The PDF includes the full score and all 6 individual parts (Violins I, Violins II, Violin, Cello, Horn Section, Rainstick). The music is 3 minutes and 25 seconds (3:25). Thank you for yourinterest in my music. I hope y’all enjoy playing it as much as I did composingit. My music is alsoavailable on all major, online music stores and streaming services.